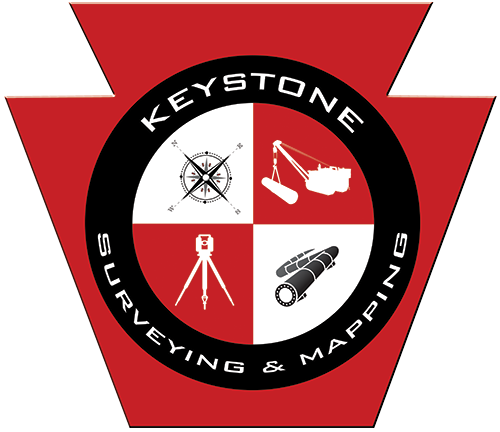 About Keystone Surveying and Mapping, Inc. | Keystone Surveying and Mapping, Inc.
Keystone Surveying and Mapping Inc. (KSM) is located in Washington County, Pennsylvania. and was established to provide land survey services to both the public and private sectors and is also well-positioned to take part in the dramatic developments from the Marcellus Shale natural gas developments as well as the region’s forecasted economic growth. We specialize solely in land surveying and are a leading provider of professional surveying services throughout Pennsylvania, Ohio, West Virginia, Kentucky and New York. KSM also excels at all aspects of modern surveying methods including, boundary and topographic surveys, GPS surveys, construction stake-out and pipeline surveys. KSM services are managed by Professional Land Surveyors who have a high level of experience, integrity and proficiency. Keystone Surveying and Mapping, Inc. is committed to delivering quality services and solutions to each and every client. KSM works diligently to successfully complete each individual project to the highest degree of accuracy, quality and professionalism. KSM’s objectives are efficiency and effectiveness in the field of surveying and mapping with a strong commitment to high-level safety standards. We aim to complete projects to agreed standards within set time frames and budgets while employing the most innovative and creative procedures. The KSM owner and employee team are passionate about every project. With over 150+ years of combined experience, we are ready to meet your survey challenges.